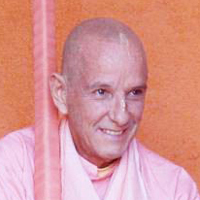 The following words are excerpted from this lecture given by Sripad Bhakti Sharan Vaishnav Maharaj (formerly Srutasrava Prabhu) on Srila Govinda Maharaj’s Vyasapuja day, December 25, 2007. A longer transcription is posted here. 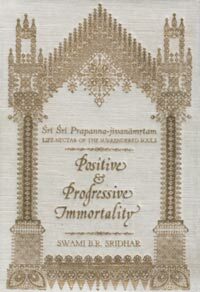 This day is a very wonderful day for us in many ways…because it’s the divine appearance day of Om Vishnupad Srila Bhakti Sundar Govinda Dev-Goswami Maharaj and because of our observance of the festival on this particular day then some remembrance comes to us of what our aim and objective is in this rare human form of life…. In the passing of days we don’t always get to remember what is my purpose in life, besides all the external things that can consume us very easily. Whether they’re considered to be positive things or negative things it doesn’t really matter. 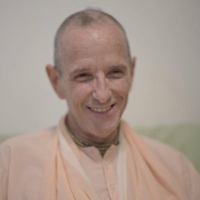 Bhagavad-gita describes all of that as the same really, whatever side of the coin you’re on, whether happiness or distress, heat or cold, honor or dishonor. Those things consume us in the course of our lives and then days happen like this special day, the most special of all days for us, actually. There are many many days that come on our Vaishnav calendar to help us remember things, but for us no day is as special as this particular day. This is the topmost special day for us….